Due to a recent cyberattack on the General Service Administration (GSA)’s System for Award Management (SAM), the GSA is requiring all entities in SAM.gov to submit a notarized letter to renew their registration or update existing information in SAM.gov. 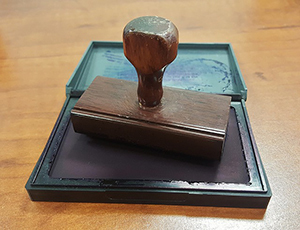 The GSA has provided instructions for registering, including a template letter (for a single entity or for multiple entities) that your CAA can print on its official letterhead and sign in the presence of a notary. This requirement went into effect on April 27, 2018 for existing registrations being updated or renewed in SAM.gov. As the law firm Venable LLP describes further in this article, SAM.gov has received tens of thousands of these notarized letters and has to manually review and process each registration renewal. Federal grantees are required to update their SAM.gov registration each year and make updates during the year as needed. CAAs cannot apply for federal grants if they have an expired SAM.gov registration. Given the current backlog at the GSA, be sure to start your CAA’s SAM.gov registration process as soon as possible this year, to ensure that your registration doesn’t lapse and that your CAA remains eligible to apply for federal grants. As highlighted in CAPLAW’s February 2018 eNews Bulletin, the Tax Cuts and Jobs Act (the Tax Act), which was signed into law at the end of 2017, included numerous changes affecting tax-exempt organizations and their employees. One change we discussed was a new requirement for tax-exempt employers to pay unrelated business income tax (UBIT) on the expenses of providing certain “qualified transportation fringe” benefits to their employees on a tax-free basis. We stated that this provision did not affect a tax-exempt organization’s ability to allow employees to pay for transportation costs on a pre-tax basis. 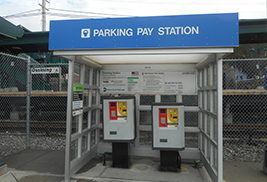 That is, a nonprofit Community Action Agency (CAA) could continue to allow employees to pay for transportation or commuting benefits (e.g., mass transit passes or parking fees) with pre-tax income, up to the limits set annually by the IRS, without having to report the cost of the transportation benefits as unrelated business taxable income (UBTI). The IRS, however, has since issued new guidance clarifying this requirement. 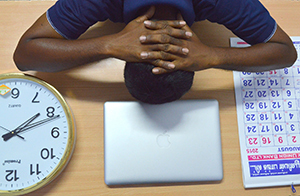 What should you do if your CAA has an employee who is showing signs of cognitive decline at work? 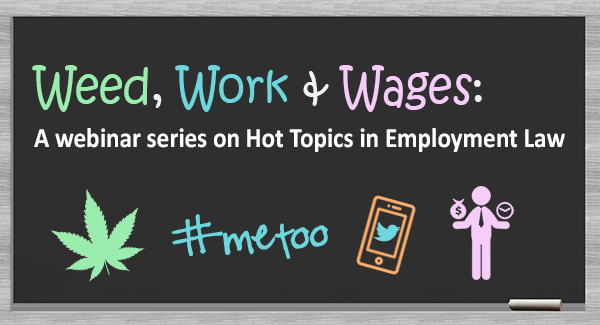 An article from the law firm Littler Mendelson discusses some of the issues employers should consider. 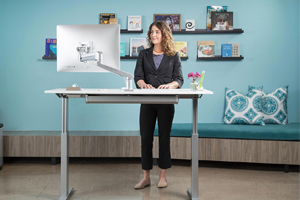 It’s a growing trend—employees at their desk, but on their feet. Other employees see their colleagues perched over a standing desk and wonder if they would benefit from one too. As studies continue to warn of the health risks of sitting too long, there is an increased focus on better ergonomics in the workplace. So what should employers do when an employee requests a new office setup such as a standing desk? This article from the law firm Fisher Phillips LLP discusses issues that arise under the Americans with Disabilities Act (ADA), the Occupational Safety and Health Act (OSHA), and other issues of discrimination or unfair treatment. 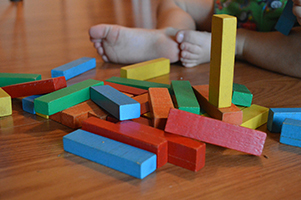 The Office of Head Start (OHS) recently issued two updated resources on using Head Start funds to purchase, construct, or renovate facilities under the new Head Start Performance Standards (the Performance Standards). The Pre-Approval Guidance and Checklist highlights specific regulations that grantees should consider when preparing a facilities application. The Post-Approval Guidance and Checklist helps grantees identify and comply with the Head Start regulations once funding has been secured. The new tools include checklists that a grantee can fill in and use to track completion dates, a glossary of key terms, links to specific regulations in the Head Start Act and the Performance Standards, and comments from OHS on documenting compliance with the legal requirements. disclosures, and expense allocation methodologies. 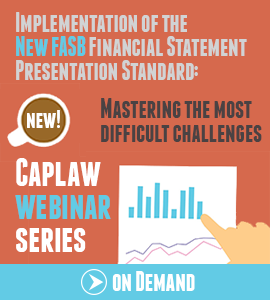 View recordings and slides from the webinar series, including a detailed implementation tool CAAs can use to ensure they have covered all requirements for their organizations. This e-News Bulletin is part of the Community Services Block Grant (CSBG) Legal Training and Technical Assistance (T/TA) Center. It was created by Community Action Program Legal Services, Inc. (CAPLAW) in the performance of the U.S. Department of Health and Human Services, Administration for Children and Families, Office of Community Services Cooperative Agreement – Grant Award Number 90ET0467-01-00. Any opinion, findings, conclusions, or recommendations expressed in this material are those of the author(s) and do not necessarily reflect the views of the U.S. Department of Health and Human Services, Administration for Children and Families. The contents of this publication are intended to convey general information only and do not constitute legal advice. Any communication through this publication or through CAPLAW’s website does not constitute or create an attorney-client relationship. If you need legal advice, please contact CAPLAW or another attorney directly. You're receiving this email because you signed up at caplaw.org, are a CAPLAW Member, or registered for one of our events.